Lovers of carbs, rejoice! The three-story mecca of all things Italian opens its doors this Tuesday afternoon at Back Bay’s Prudential Center. Pop in for fresh pasta, stick around for a cooking class, and entertain friends at the Barbara Lynch-helmed Il Pesce—all under the same roof! The 45,000-square-foot goliath will house four restaurants, 10 eateries, two cafes, and 10,000 artisanal goods for guests to enjoy. Someone might want to alert Mike’s and Modern Pastry, too: Eataly will also have a cannoli cart! 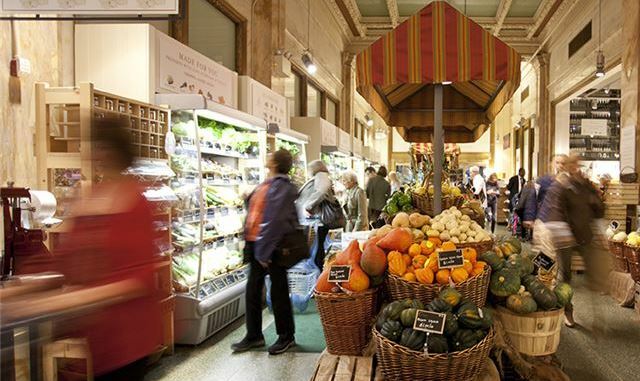 The Boston outpost will be unique from the rest of the Eataly family by having an emphasis on seafood and food sustainability. Eataly Boston’s partnerships with fisherman across the region will make it a true sea-to-table experience. The doors open at 4PM on November 29, and the first 100 guests will get free homemade mozzarella! Ciao Bella!